The best time to visit this city is during the spring or fall, when temperatures moderate to around a high between 70-80 degrees. You cook out there in the desert during the summer; I’ve seen the temperature at midnight in August at 106 degrees. 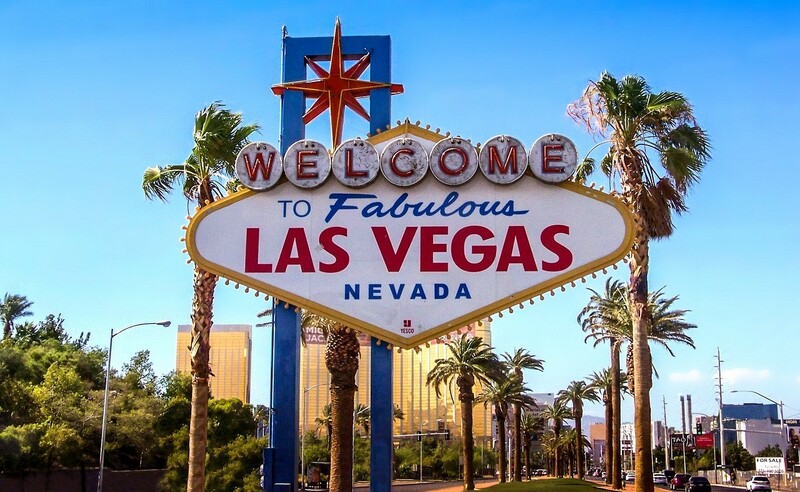 Downtown Las Vegas is currently going through a revitalization with several hotels being remodeled and rebranded, plus some very exciting attractions that are drawing formerly reluctant visitors to that area. A multi-million dollar, world-class performing arts center was recently opened, The Smith Center, and it has received rave reviews from the activities and programs presented there. The Mob Museum recently opened downtown that highlights the city’s organized crime history. The Strip with hotels on both sides of the street for miles make for an energetic and spectacular sight, especially at night. They have over 70,000 rooms to fill every night, and the Las Vegas Convention and Visitors Bureau is constantly searching for conventions and trade shows to help fill those spaces. I was reading recently that the respected travel magazine, Conde Nast Traveler published their 2012 Readers’ Choice Awards for the top 15 hotels in Las Vegas. The hotels from the mind and marketing genius of Steve Wynn were named number one, the Wynn and the Encore. They were recognized for their “amazing views of the Strip”, “excellent on-property dining choices”, and high-quality service. The hotel that took second place, The Four Seasons, just blows my mind. Here is a hotel that takes up the top 5 floors of the Mandalay Bay Hotel, and they come in second place. Obviously, it is a really nice hotel, and you talk about a view of the Strip from one of their suites will just take your breath away. Interestingly, the hotel that came in ninth place is not even on the Strip, and doesn’t even have a casino, but it is owned by Donald Trump and named Trump International Hotel. The name, no doubt draws some, but also it is in a good location next to the Strip Mall, where you can spend all the money you win at someone else’s casino. Here’s the tip. . .check the Las Vegas CVB website and try to plan away from any large convention dates. Stay in Las Vegas on weekdays. . .rates are always less. To save money, plan ahead 4-5 months if possible and stay away on holidays, Super Bowl, and New Years. . . .the crowds will drive you crazy!!. . . . unless you like crowds!! It really is a people-watching mecca. The professional and experienced travel agents at The Travel Factory can be located on our new website, www.thetravelfactoryabilene.com, and you can visit our facebook link from our web. Or an old-fashioned call to 698-1421 will also do.